In this case study, students read about the injuries sustained by a young man hurt in a serious diving accident. To solve the case, they must determine the type of central nervous system injury described using their knowledge of the differences between symptoms and signs of brain and spinal cord injury. 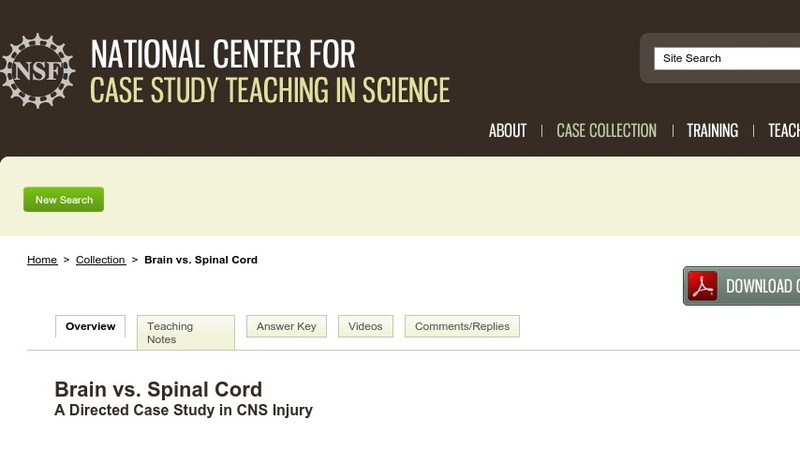 The case was developed for upper-level neuroscience courses and rehabilitation courses that cover the neuroanatomy of the central nervous system and the symptoms of different types of central nervous system injury.